Before the Global Game Jam 2016 started I gave a short talk about how to make an AAA game in 2 days (as the GGJ is 48 hours long). Of course I have no idea how to make an AAA game, but I thought that sounds more interesting than "How to polish your game in a day". So yeah, it was just about giving a jam game that small bit polish so it wouldn't look that much like a jam game. I started by talking about some experiences I made years ago: how 2K contacted me as they had this new game - Assassin's Creed - and they already worked a day on it. Their prototype consisted of the protagonist Günter (or so) walking around. But they didn't know how to make it any better. That's why they consulted me. And here is what I told them. First I noticed how the movement wasn't very smooth, and I showed them how to use tweens so the player character would look professionally animated, even though it was a single sprite. It was a bit of a pain, as tweens need careful coding. For example, as long as the player is tweening, don't let the user change the direction, and so on. But all the sweat paid off. Afterwards, I explained how the same applies to the camera: the more movement is there, the better. We all know how cool AAA games use tracking shots for everything. You can do the same! But using Lerp() to make the camera somewhat smoother can be tricky, as sometimes the player can be too fast and not see where they're going. This is why we add some kind of foresight. This talk from the GDC 2015 can be helpful, even when not doing a sidescroller. Apparently the original AssCreed had some teleportation mechanic, but it looked bland. I advised Lionhead to add some transition effects. Those can also be useful when the player gets hit - just color the screen completely red! My game Snakoban has another kind of effect for changing levels. It was a bit of work, but everything is better than just changing screens without any transition. "Never forget to shake the screen," I told the AssCreed developers. "And of course, use particles everywhere." Every new particle in the game is another step to AAA, as they give instant feedback to the user that something is happening or has happened. And they look nice, too, so even as pure decoration they are useful. Our very own game prototype Power of Love has trails for the player characters. It looks cool, because it adds the illusion of velocity, speed and fast movement. Even with all the improvements so far, Blizzard's prototype looked kind of flat. So I introduced them to the concept of layers - giving the player a shadow, even a simple one, already creates the illusion of depth. Having a foreground and a background with different scrolling speed ("parallax scrolling") is awesome too. Although they already worked on the prototype for a day or so, they still missed the most important thing in a game (or any medium, really): emotions! Always take care your game evokes feeling. This is why we improved the story a bit, worked on the colors and chose a cool music that fits. (I think they changed the story later.) Anyway, humor is also cool, but I don't know much about that. It’s up to you, dear reader! Of course, music is great, but sound effects are needed, too. Just like particles, sounds add a lot to the feedback and the atmosphere. Foot steps, "ouch" sounds, you name it. Sound can even create things that aren't there! Want a forest full of animals? Just play a sound loop with rustling in the leaves and singing birds, and your graphics department can leave early, because they won't have anything to do. 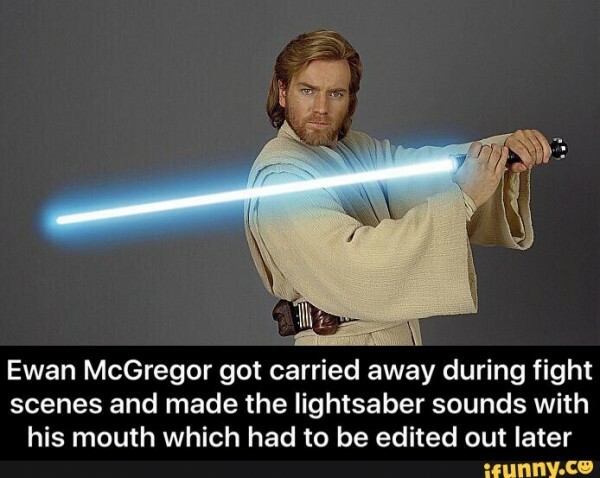 Obi Wan gives a good lession, in this regard: it's only real if it has a sound! For the final touch Crytek added simple light effects, to focus on the important things in the game (the player), and increase the atmosphere. Nobody could believe this was still the same game, just with a bit of bling created within a few hours. And we all know that Assassin's Creed became a big hit!